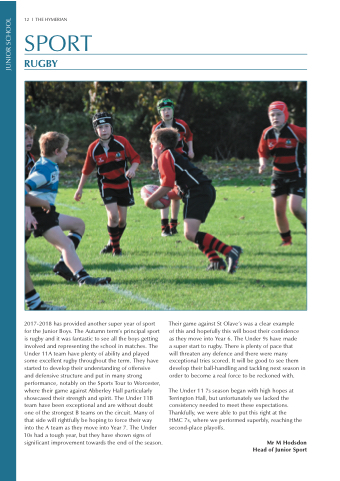 10s had a tough year, but they have shown signs of significant improvement towards the end of the season. will threaten any defence and there were many exceptional tries scored. It will be good to see them develop their ball-handling and tackling next season in order to become a real force to be reckoned with. The Under 11 7s season began with high hopes at Terrington Hall, but unfortunately we lacked the consistency needed to meet these expectations. HMC 7s, where we performed superbly, reaching the second-place playoffs.